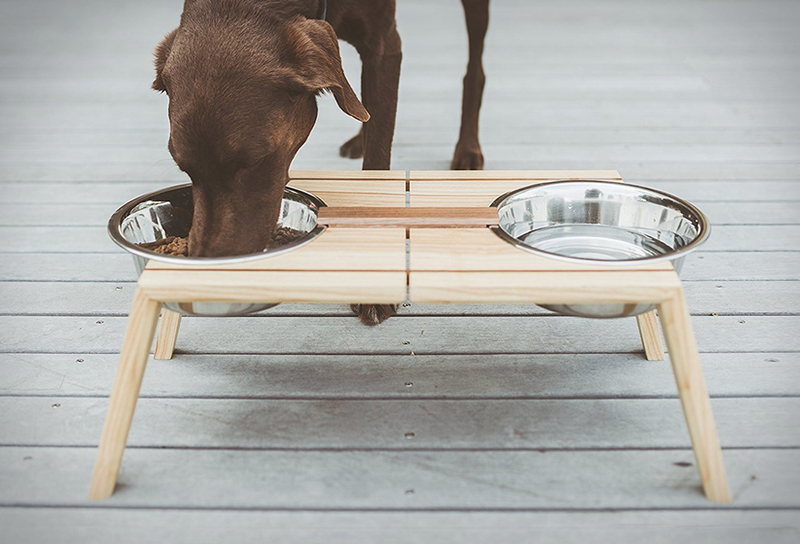 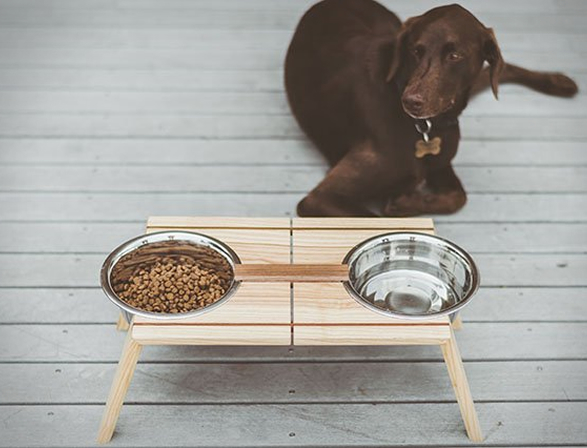 The Bottoms Up pet food dish is an elegant solution designed by Andrew Coslow, it takes on a fresh approach to your pups dinner time. 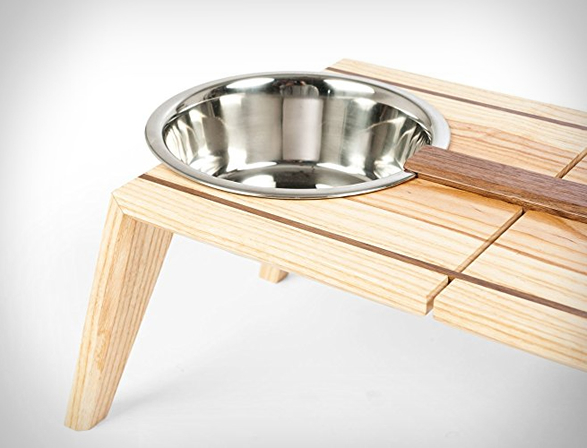 Raised up off the ground 8.5” to aid digestion, the bowls can easily be clipped in and out of the wooden base for cleaning. 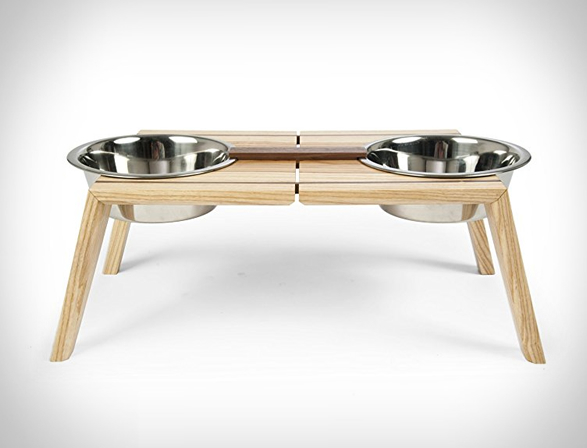 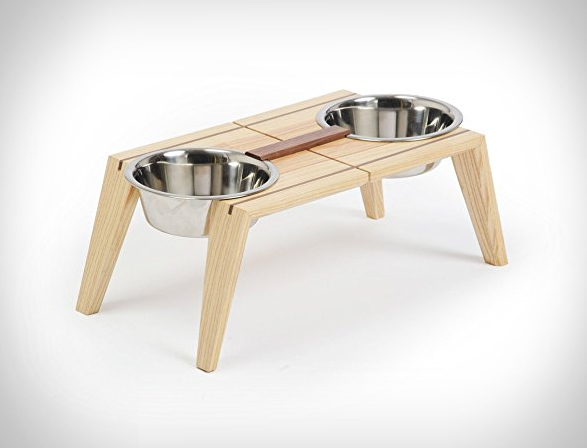 If we get to have fine china, then your pup deserves to have something nice too.